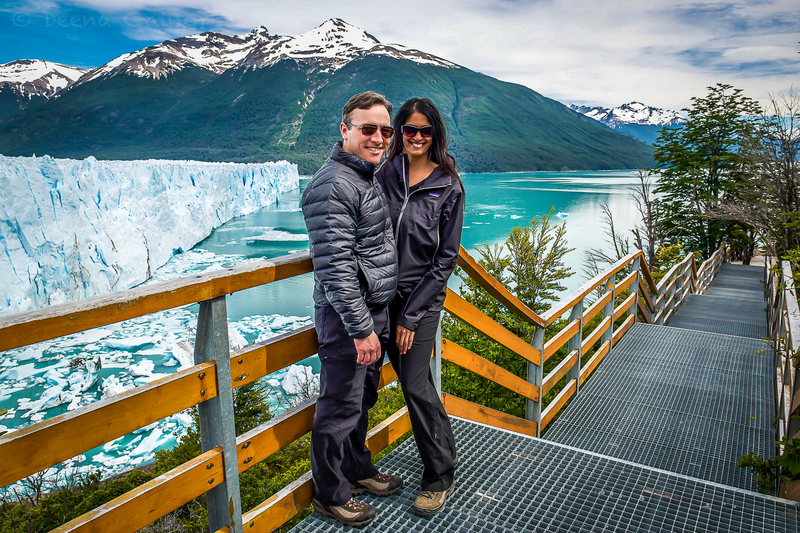 After spending six magical days in Torres del Paine, we crossed over the border between Chile and Argentina, heading to El Calafate. The border crossing was a little tedious. There were very few people there, but the guards took a while checking all of the paperwork required to cross. Thankfully we had a driver guide who took care of everything, and within 45 minutes we were on our way. 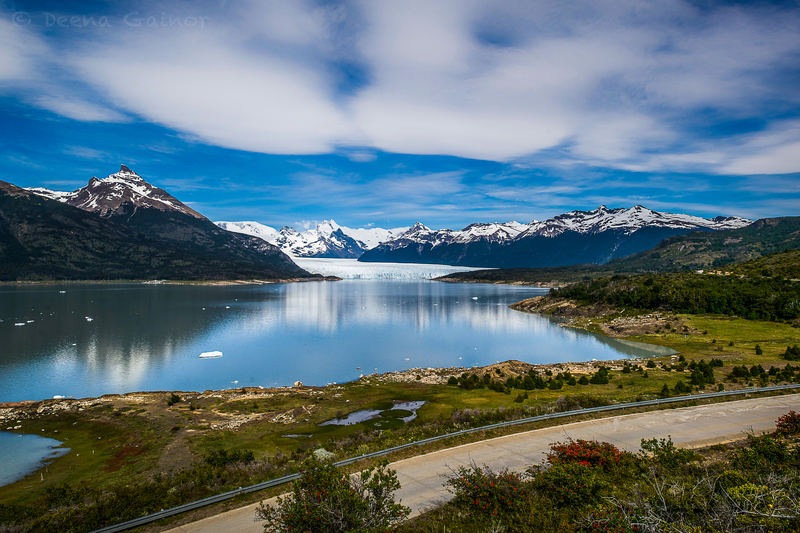 The whole journey between Torres del Paine to El Calafate was around 5 hours total. Once we reached our “home” (Xelena Suites) for the next two nights, we settled in quickly. The hotel was much nicer than we had anticipated, but I will post more on that later. 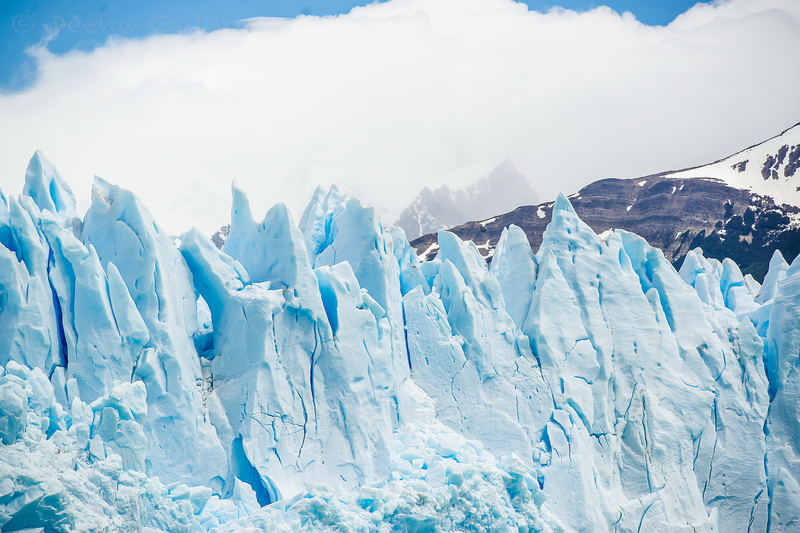 The next morning, we headed to the famous Perito Moreno Glacier. 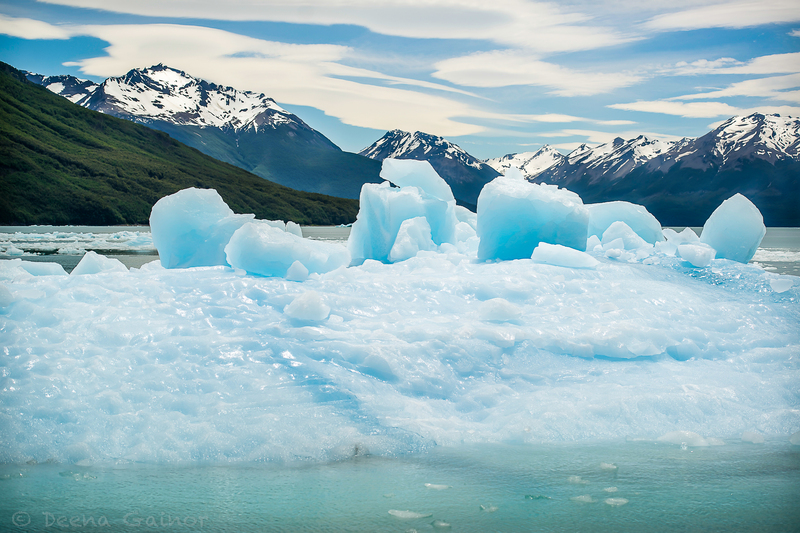 This ice field is the world’s third largest reserve of fresh water, and one of the main attractions near El Calafate. The drive along the way was beautiful. 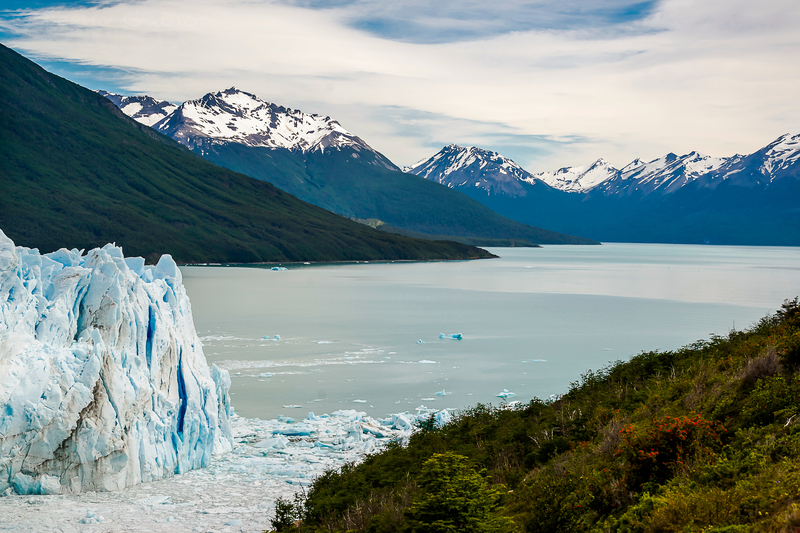 I’ve learned about glaciers before, and even seen glimpses of them in New Zealand and France, but they’ve never been the focus of any destination before, so I was excited to finally get up close and personal. 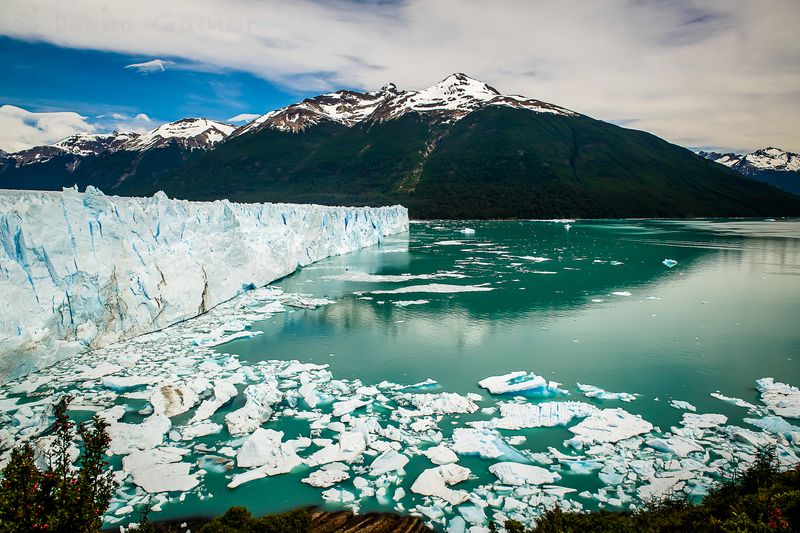 I was fascinated in a way I never expected, and am now a huge fan of all things Glaciers! Here are a few photos, but trust me, they do not capture the magnitude of this day. Our first glimpse…blindingly white and beautiful. Gorgeous from a distance. 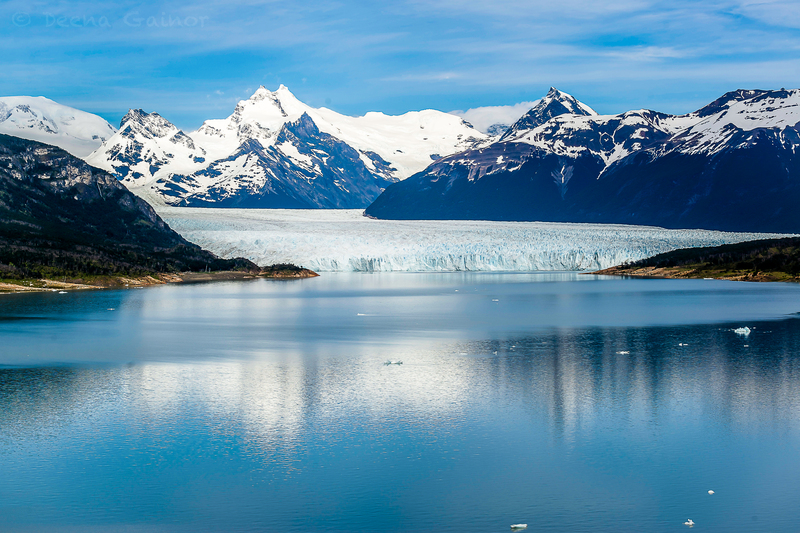 This is one of only three glaciers in the world that is actually continuing to grow. These were our first views and we were so excited to get closer. 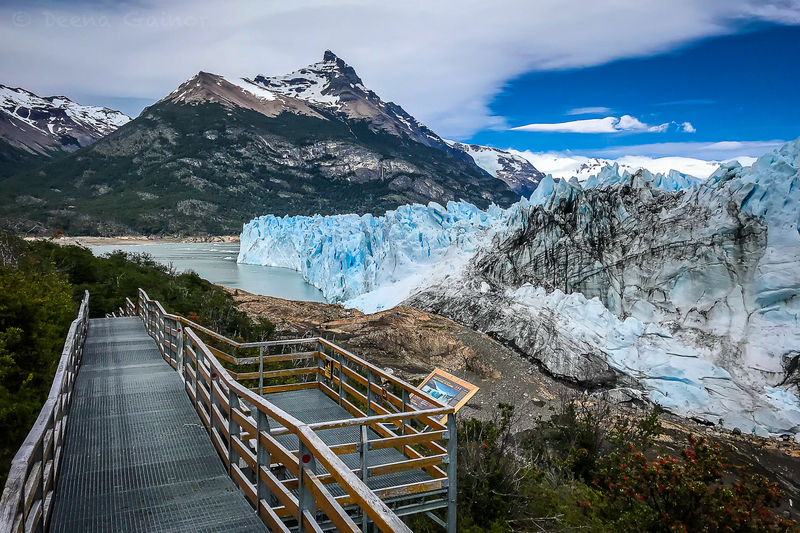 There are walkways and viewing platforms all along the edge of the glacier. It can take several hours to walk them all. Here are a few Panoramic Views from the metal catwalk. So lovely and deceptive. 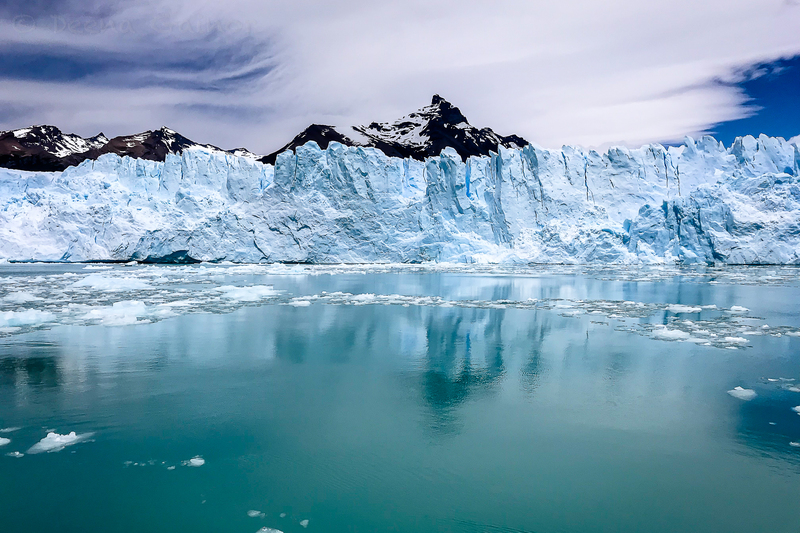 It’s difficult to tell from the photos that the average height of this glacier is 240 feet, while its depths go approximately 588 feet down. It’s staggering really. Notice the wide ripples in the photo below. Prior to this moment, in the midst of the quiet or soft whispers of gentle waves, we would occasionally hear a crack of thunder. The first time it happened, we thought we had been caught in a storm, until we realized it was the glacier! 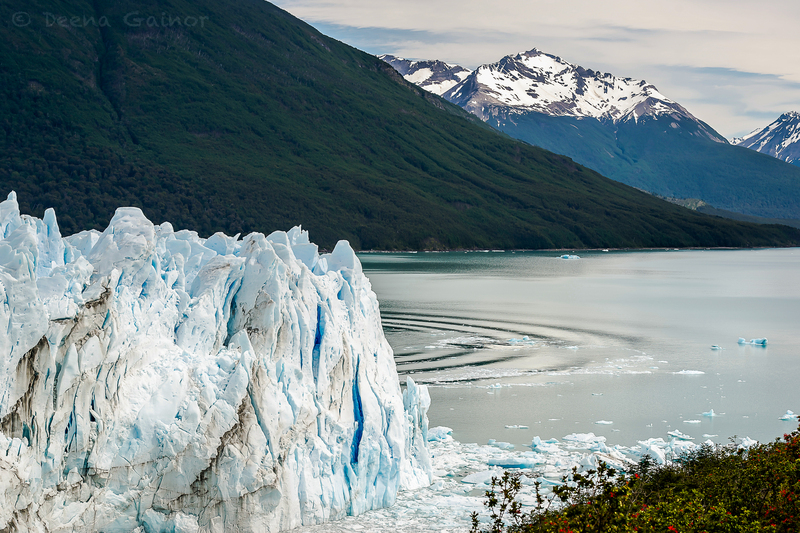 At the roar, everyone would freeze in place, and excitedly turn to watch the glacier in anticipation, hoping they’d catch the glacier calving. It didn’t happen a lot, which was surprising considering how thunderous the noise was. But when it did…wow! So, what is calving? 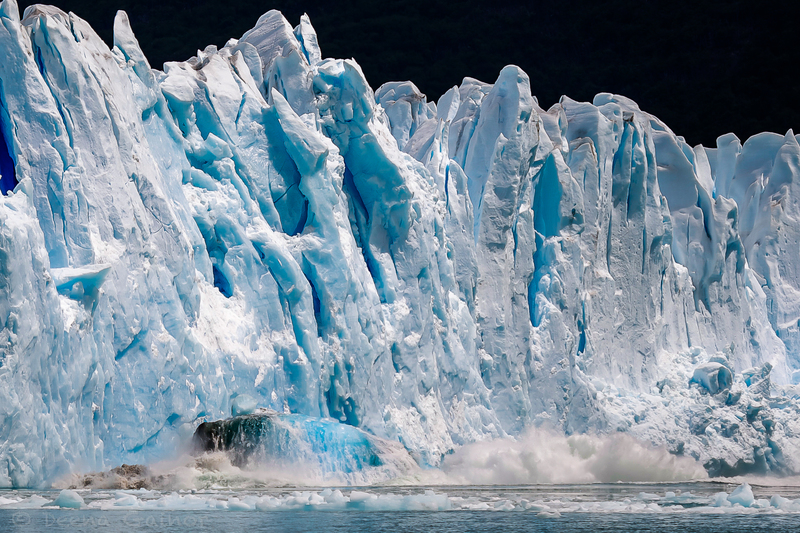 It’s when huge chunks of ice fracture and break off with a loud roar as the glacier expands. It’s quite a sight to see! 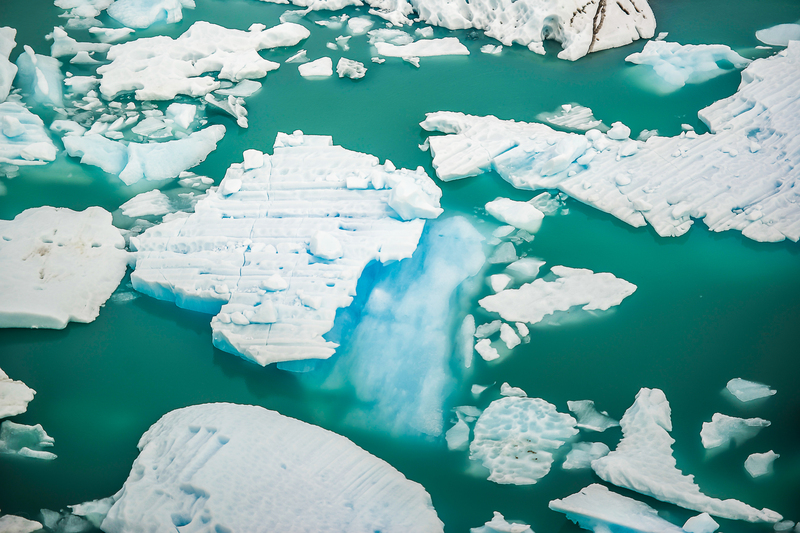 As the ice plunges into the water below creating an iceberg, there is a huge ripple effect. I would liken it to a miniature tsunami. 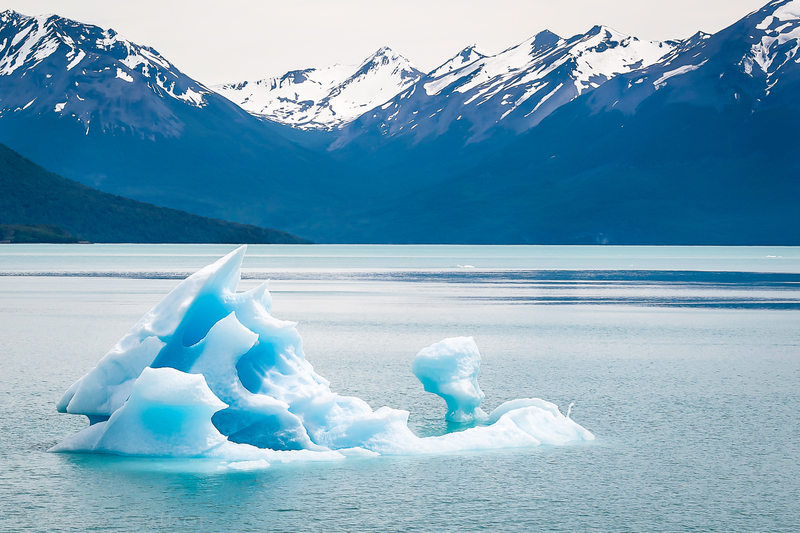 We were fortunate to see this happen a few times, and it was fascinating watching the iceberg then reappear and flip over, exposing a brilliant blue glassy surface. Here’s the first one we saw. It was relatively small, about the size of a bus, our guide said. Here it is flipping and starting a wave. Click on the photos for a closer look. Hopefully you’ll see the vibrant blues and teal. 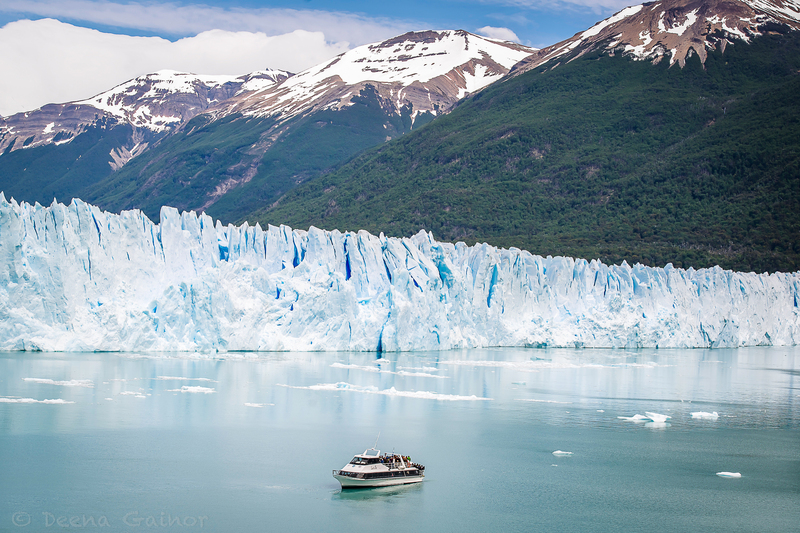 Mid-morning (when the crowds are less), we boarded a boat to get closer to the glacier. I loved the unique perspective as we sailed past enormous icebergs and inched closer to the base of the glacier. 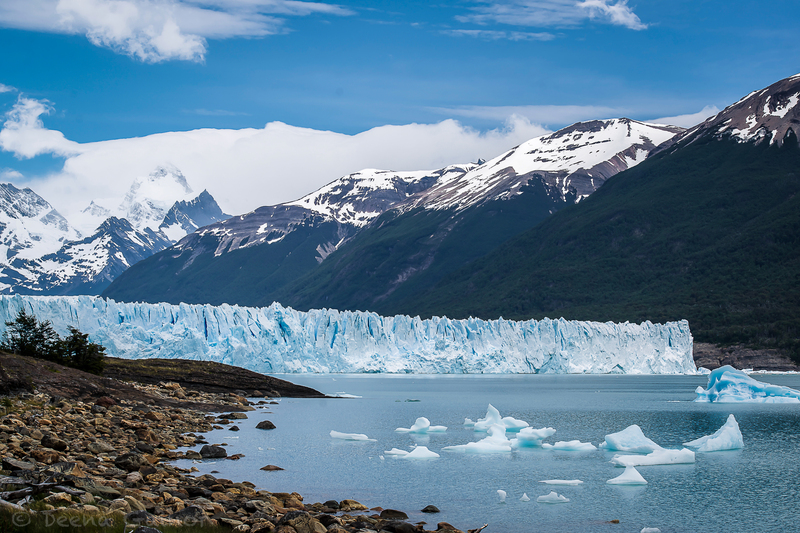 Viewing the Perito Moreno Glacier from this angle provided a much more realistic understanding of the magnitude of the glacier. Look at the jagged edges! Here are a few more of our favorites. The colors in each photo are very different depending on what time of the day we took the photos. It was amazing to see how often the sky changed, or how quickly the clouds disappeared, then reappeared again. 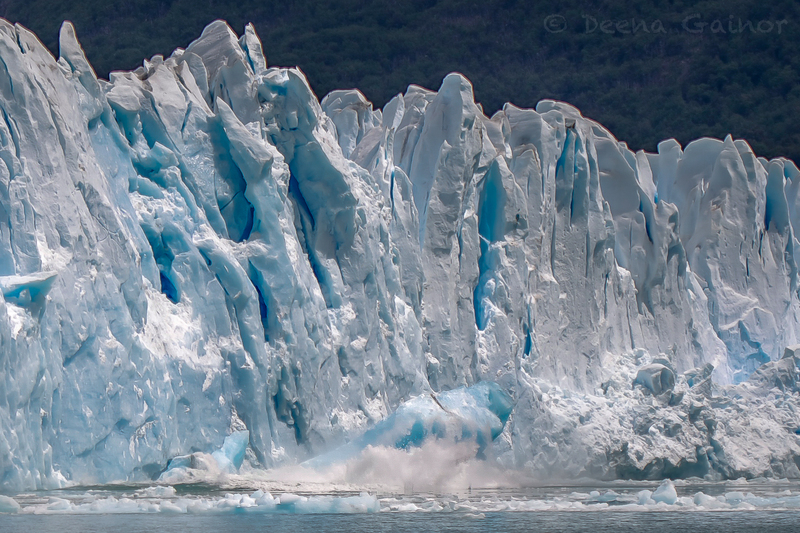 And just one more, to highlight how translucent and beautiful the icebergs were! 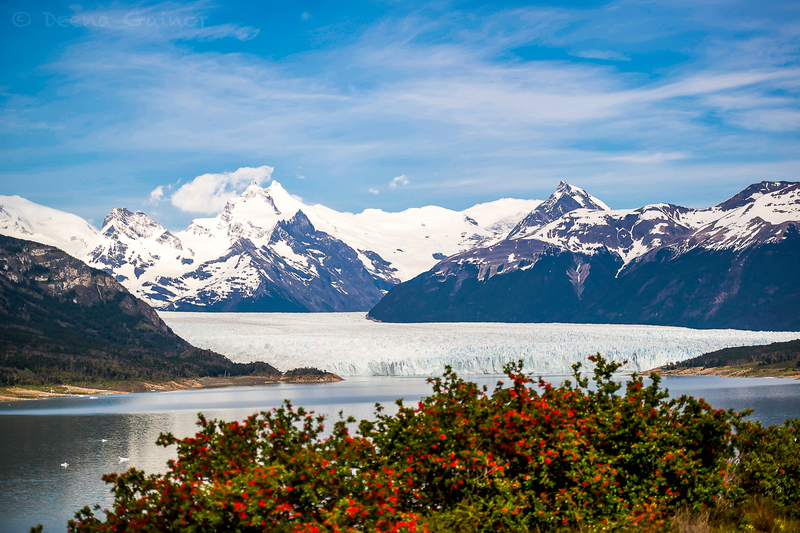 I hope you enjoyed this blog post and one day make it to the Perito Moreno Glacier. It was one of the highlights of our whole journey! Oh my!!! We will be here in March and I cannot wait!! Lovey pictures…makes it harder to get throught the month of Februray now!! Haha!! You will have an amazing time. I’d love to see your itinerary. So many beautiful places it’s difficult to know which ones to pick, and so fun to see what people decide to do. Have a fantastic time!